In today's fast and routine-bound lifestyle, what most of us can afford to take are only short vacations. But ever realised how hectic and expensive these hit-and-run holidays are? Even if we have managed to sneak out for a week, we spend two days travelling and are merely left with just three to four days to actually enjoy ourselves. In my opinion, vacations are meant for relaxation. If you're actually giving your regular life a break, you should spend at least a couple of weeks to explore a new place and soak in all it has to offer. But then, I also understand that it's easier said than done: Being on the road is no cakewalk. There can be a great many things to stump you regardless of how much you've planned. 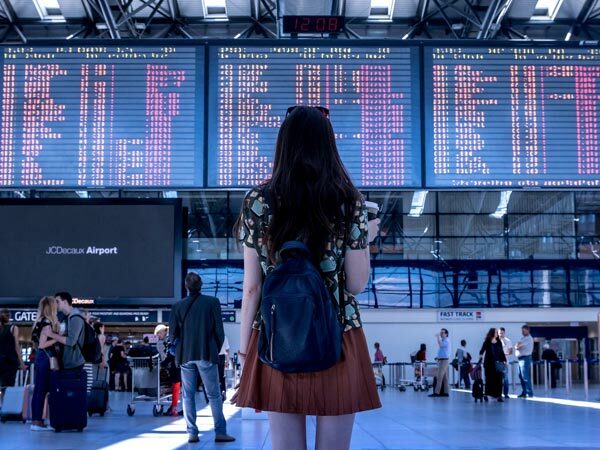 Overweight luggage, a lost passport and other situations like this can often be quite stressful, particularly when you're travelling to an entirely new place. So why not learn some of the best travel hacks that would save you from misery? The idea is to not let petty things come in the way of your amazing upcoming adventure. And to help you with that, we have taken every aspect of travel into consideration to compile a list of innovative yet simple ideas that would surely save you plenty of worry, time and, of course, money. Before starting a trip, as we are doing our online research, our searches leave a digital footprint behind. So, from next time, as you start booking your tickets, never forget to clear your browsing history or you can surf the sites in your browser's incognito mode. Why? Because travel websites can track your recent searches and, thus, hike the rates of tickets based on that information. Cheat the system, go incognito to get the most basic prices to save yourself some hefty amount. Your much-awaited trip is coming nearer and all that you've left to do is just pack. And there lies a lot of confusion: What to take, how to keep your luggage light yet still look fantastic on your trip and so on. Let's teach you one simple trick. If it's not a business trip and your main goal is to simply wander, then just keep it to the basic blacks, greys and blues. Girls, you can load up on jewellery and accessories so that your bag remains light but you can still flaunt a different style every day. It's always important, before you start your journey, to make sure all your documents are in place. Losing your passport or tickets can turn out to be nightmares on any trip. To avoid risks of such an event, scan all your documents and mail them to yourself and a couple of other close people so that you have access to them if by chance your luggage gets stolen or lost. Now this is one secret tip and it's effective. Do you hate waiting for hours to get your luggage from the conveyor belt? Put a fragile sticker on your bag as you check in your luggage at the ticket counter. By doing so, not only is your luggage handled more carefully, but you can be sure that it's the last one to go in before take-off and, thus, the first one to come out on landing. In a location absolutely unknown, it's quite easy to get lost. And it can lead to a good deal of panic and anxiety, particularly if you are travelling all by yourself. To stay safe in such events, take photographs of the important places-your hotel, any visible landmark in the vicinity, where you've parked, etc. This will help you trace your memory back in case you're lost. It can also act as a visual aid which would greatly help you-who probably doesn't speak the local language-to ask someone for directions. In the end, do not forget the most important and most rewarding travel hack: To have fun; to enjoy every moment of being outdoors. In the course of backpacking like a vagabond, you will start finding newer hacks to simplify your long vacations. Love travelling and it will give you an unparalleled sense of joy. And you come back home from your adventure with tons of stories to tell. Did we miss out on anything? Do you have a personal travel hack which you think might help thousands of fellow travellers simplify their trips? Share it with us just by dropping your message in the comments section below.